This past Saturday was my 26th birthday, and also marked the anniversary of Martin Luther King’s “I have a dream” speech. Conservative commentator Glenn Beck probably chose that date for his “Restoring Honor” rally because of the latter exciting historical moment that August 28th marked. Beck’s rally inspired no shortage of controversy, including a counter-protest by modern civil rights leaders. One of the controversies deals with how many people attended. Political organizers have long used rally crowd sizes as measures of support for a cause, and fighting over crowd sizes has gotten so bad that the United States Park Police no longer provide official estimates on how many people attend. We had a similar problem on Saturday, so I’m sympathetic. I thought that my birthday party set a new record for the number of people at one time in my apartment, but everyone had consumed too much birthday celebration liquid and no one was able to count that high. Seriously, though, our civilization put a man on the moon decades ago- we should be able to count how many people are in a park. This sounds like a problem for…science! As it turns out, CBS News commissioned Air Photos Live, a company that uses aerial photos and computer software instead of randomly guessing, to estimate the crowd size at Beck’s rally. 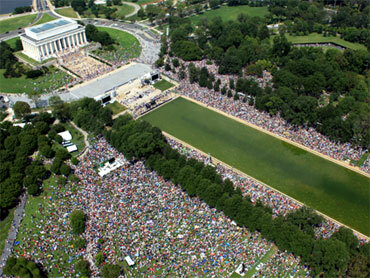 Their estimate: 87,000 people (with a margin or error of 9,000). Not that we really needed any, but this is further proof that folks like Glenn Beck and Michele Bachman will say whatever they feel like with no regard for things like facts and evidence. In the end, though, what difference does it make how many people were at the rally? Glenn Beck continues to have one of the highest rated political talk shows on television, so his influence is essentially unrelated to how many people attended his rally. 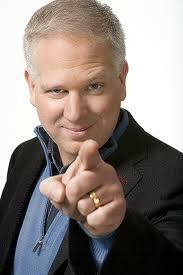 Many of Beck’s followers already ignore facts and evidence- polls like this one show that 18% of the country (significantly more people than even Michele Bachman estimate were at the rally) believe that President Obama is a Muslim, even though many of these people criticized him for having a radical Christian preacher. If there is one take-home message from this incident, it is that politics (on either the Right or the Left) is no place for people who care if what they are saying is actually true. 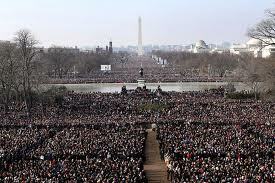 I heard Beck go on and on about the half a million people who showed up and was wondering what the real number was. Thanks for the info.